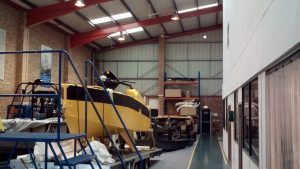 ASV Global are the leading supplier of unmanned & autonomous marine systems. 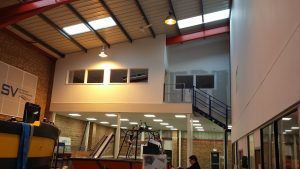 The solution was to create a 150m2 mezzanine floor with first floor partitioning to create new office space utilising the existing structure finishes to create a visually interesting office space. This created an area for Software and Electrical Design Teams along with a Meeting/Creative Area. As well as a mezzanine floor the project incorporated jumbo stud partitions, suspended ceiling, air conditioning, electrical services and carpeting. 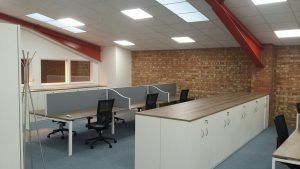 The installation was in accordance with the Programme of Works with only a slight overrun due to the client’s decision mid-build not to proceed with the planned level suspended ceiling, instead retaining the slanting roof and exposed beams and brickwork.